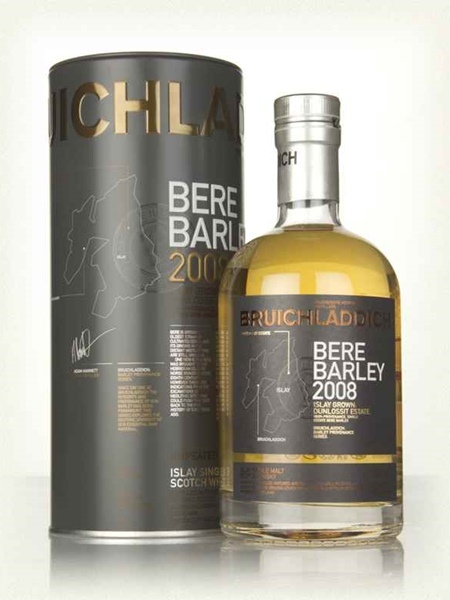 The Bruichladdich Bere Barley series is all about the grain - Bere barley being the oldest grown UK cereal. Earlier versions used Orkney grown Bere barley, but for the 2008 distilled and 2017 release the barley was grown on Islay on the Dunlossit Estate. It was matured in ex-bourbon and Tennessee casks. It is natural colour, non-chill filtered and bottled at 50% ABV.